Sometimes it is so challenging to believe that we are and can be connected to Spirit, to High Beings like you. Please can you shed light and guide us on how to remove our doubt, skepticism, smallness, and believe? The issue here for you here is confidence. And the issues for others are different. It is hard for humanity to believe their sacred connection to Spirit. And it is even harder for many, for most, to believe that they are sacred. Most people don’t even have an idea of what that is. Most people are caught up in the daily routine of their lives and what society puts out as being important, that they do not have connection with their true nature. At the core of who you are is Divinity, the Sacred, whatever you may call it and by whatever name. Religions are but cloaks; within, is your naked body of Spirit. Religions and traditions are just different forms of clothing to lead groups, cultures, to the pure, wet, pulsing Heart of Who You Are. That is your Sacred Heart. To remove doubt, smallness, ego, it is essential, especially in these times for you are on the threshold of a Grand Awakening. It has already begun for many, and will for the masses. It is essential to go into your heart, each one for themselves. Set aside ego, and listen, and wait. Each one will receive their own sacred messages. Each one will receive their own sacred wisdom. Each one will receive their own sacred light and frequencies. So many are held sway to the conditioning of cultures, of how the world has been. But everything can be changed in an instant. Choose to question. Choose to challenge. Choose to go against the flow. And above all, choose to stay completely true to what flows from within you. No matter what others think. No matter what ways you judge yourself. No matter what fears, doubts, and disbelief you have. In fact, let those be milestones. Let those be indicators that you are on your right path. You, Mytrae, are afraid to be seen as a Light. As you have been told, you have had much persecution and prevention in the past. And that holds you back. But much of it has been removed and is being removed. Your every step forward allows me and the others working with you to remove it even more, And that is your sacred dance with Spirit. Your step forward allows us to clear the way. So step into this. The highest of Lights has come to you. Will you speak about me? Will you share these words with others? The world is a parched desert. Hearts are hungry, thirsty, dry. It is not just the meaning and message of these words but the frequencies that flow through it every time every person reads them. They receive me into their hearts, into their bodies, into their minds. So this is what you are doing, and what you are being invited to. To share my Light, my Love, and my Sacred Heart with the world. Yes, dearest Mary, I will. I will. I will. (I’m crying here, with her invitation). Then go. Put this out. 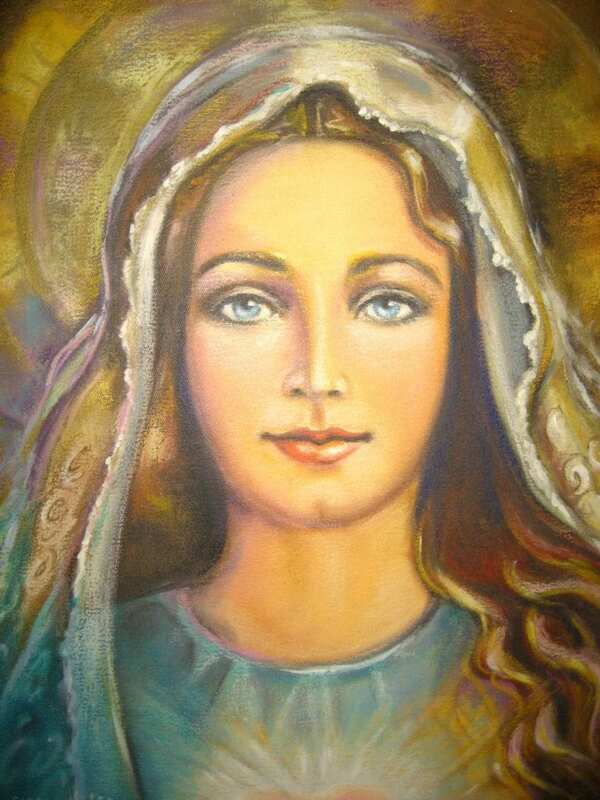 It is wonderful to know that you are reaching out and sharing these channelings from Mother Mary. I have always felt your resonance with Divine Feminine energy. This frequency is so needed in our world now to support the healing of Humanity. Thank you for opening your heart and sharing the Divine Compassion of Mother Mary for all hearts. Thanks so much for your lovely note and support. Thank you so much!! I hope to share these more.